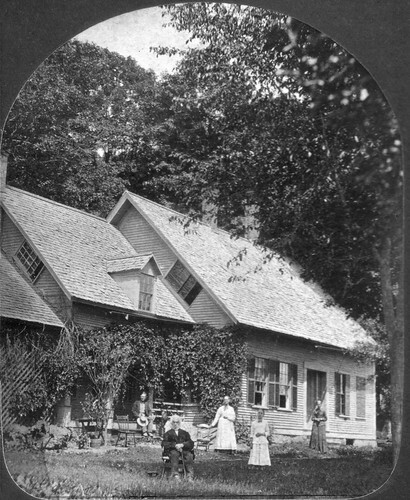 Carlyle Goodrich of Plainfield, Vermont, worked as a stereoptican photographer from roughly 1877 to 1881. He seemsto have traveled in an area from a line drawn between Albany and Barre, west to the Connecticut River. He traveled as far north as St. Johnsbury and as far south as Royalton, but he may have ventured further. Goodrich spent some time in Bismarck, ND, and died in Plainfield in 1911. Many of his photographs have been identified by VHS member Richard Petit, but about 50 images remain unidentified. We have loaded these photos in Flickr, the photo sharing web site, where you can add comments about these images. View the complete Carlyle Goodrich Slideshow. You can make comments on the images as well. Contact VHS Librarian Paul Carnahan.